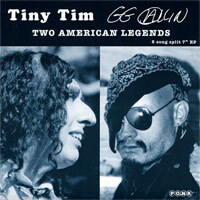 The GG Allin and Tiny Tim split 7” features six tracks (5 songs and a message from Tiny Tim) on black vinyl. 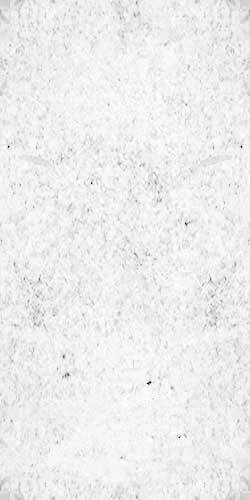 This is the Second Edition of only 300 copies and comes with a 8.5x11 inch mini-poster insert. This will surely rank as one of the more bizarre (yet inspired) of musical pairings. Few realize that not only was GG a great admirer of Tiny's work, but that Tiny was well aware of GG and had a certain respect for his tenacity. The two actually met in the mid-80's. Brand new and un-played fresh from the factory, an all acoustic gem from these two American legends.